ZTE’ child brand, Nubia has announced the Z18 mini smartphone in its homeland China. The device sports decent specifications for the asking price. The Z18 mini comes in four different colour options: Black, White, Blue and Pink, but there’s no hint at the phone launching in the Indian market. The device comes in various memory and storage configurations, and Nubia has revealed the pricing details of every variant. The USP of the smartphone is its design and powerful mid-range hardware. Also, the Z18 mini joins the list of few smartphones to feature the Qualcomm Snapdragon 660 SoC. It comes with up to 6GB of RAM and 128GB of internal storage. Matching the trend of 18:9 display smartphones, the Nubia Z18 mini also comes with a 5.7-inch 18:9 display with 2.5D curved glass on top. It’s powered by the Qualcomm Snapdragon 660 chipset, paired with 6GB of RAM and 64GB/128GB of internal storage. Graphics in the smartphone are taken care by Adreno 512 GPU. 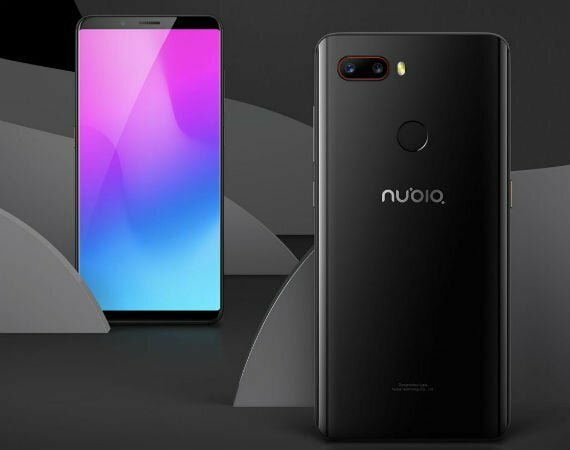 This dual-SIM smartphone comes laden with Android 8.1 Oreo out of the box with nubia UI on top. There’s a whopping 24MP primary camera at the back, paired with a secondary 5MP camera. The primary sensor has a f/1.7 aperture, PDAF. It also has a dual-tone LED flash. An 8MP selfie shooter is present on the front with 80-degree wide-angle lens. The phone has a fingerprint scanner located on the rear side. The device measures 7.6mm in thickness and weighs 153grams. It also offers 4G LTE, VoLTE, Wi-Fi 802.11 b/g/n/ac, GPS, Bluetooth 5.0 and a USB Type-C port. Powering this package is a 3450mAh battery. Moving onto the pricing, the Nubia Z18 mini comes in a plethora of storage options. The base 6GB of RAM and 64GB storage model costs 1799 Yuan (approx. Rs 18,700), and the 6GB RAM & 128GB storage model costs 2099 Yuan (approx. Rs 21,780). There’s a Limited Provence Edition of the Z18 mini with 6GB of RAM and 128GB of storage and it retails for 2199 Yuan (approx. Rs 22,700). 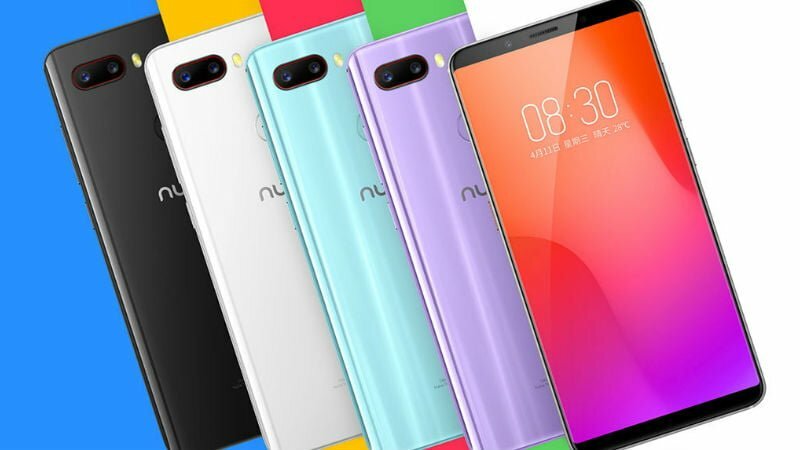 As mentioned, the Nubia Z18 mini, for now, is limited to the Chinese market, but it might soon launch in the Indian market as Nubia did not have any major launch in the country for quite some time. Better than Redmi Note 5 Pro, Nokia 7 Plus, Asus Zenfone 5, Vivo V9 and Oppo F7 but Nubia will launch it in India after October 2018. I’ve bought phones from China and used them. One is THL W8 Beyond. Google it. 2 years later, I got Jiayu S3. Again, not in india. Both phones were good. I’m planning to get the ZTE Axon 9 even though it won’t come to India. Aliexpress FTW! How much will be the custom duty?? Duty is dynamic. They can charge you 4k to 14k. Many people have paid a 150% custom duty as well. I had bought mi pad 2 for 10k. I was charged a custom duty of 5k when it arrived via india post. The device comes only in 2 memory configurations. Even the limited edition has same memory configuration. Don’t add words like plethora for just 2 options. Plethora means many/excessive. Only 2 or 3 options are not plethora of options.